Adorn your temple with a Screen Print of the Golden Path symbol, perfect for wall or window hanging or as an altar cloth. Many members of the community have also begun using them as a cloth to lay out their own Hologenetic Profile with cards from the Gene Keys Synthesis Deck. You can also use stones from the Crystal Alphabet, or your own totem objects, as an altar to represent your Golden Path. 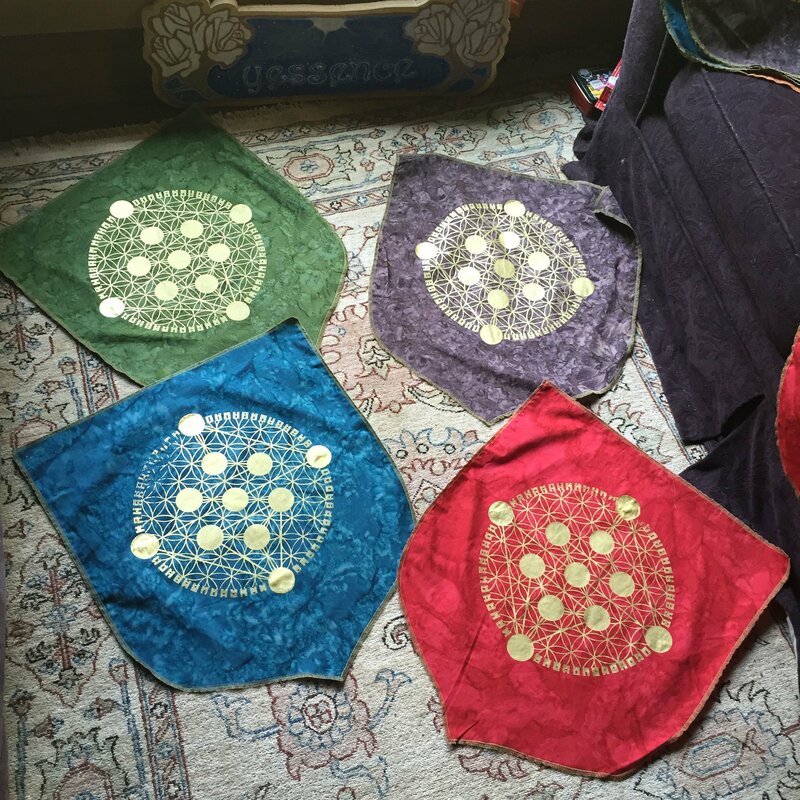 These beautiful handmade flags were inspired by Binah Zing and crafted by Heather Becket. Each flag has been stitched and screen printed by loving hands, and may have slight differences from each unique print. There are a limited quantity of each color available, as these boutique items were handcrafted for our live Gene Keys events.